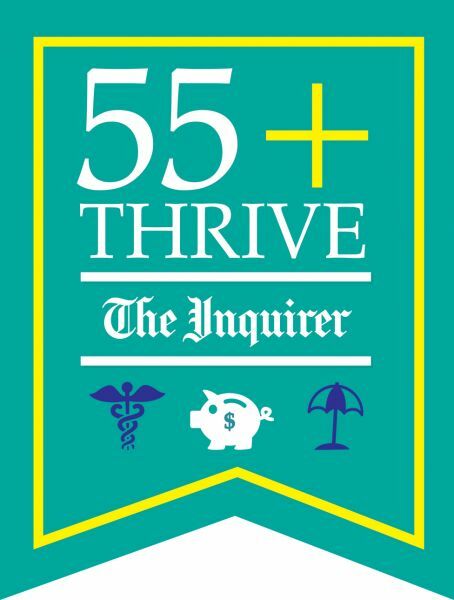 Philadelphia Media Network, parent company of The Inquirer, Daily News and Philly.com seeks exhibitors for the 2017 55+Thrive Lifestyle Conference; a day of information, entertainment and resources for every boomer and beyond. Exhibitor opportunities are perfect for financial planners, health & wellness providers, travel experts, residential real estate companies and retirement communities, funeral services, estate planning providers, alternative medicine, social media experts, service providers such as hearing aide, cosmetic surgery, vitamins, online dating and more! When: Sunday, November 19, 11:00 a.m. - 4:00 p.m. In conjunction with the event, the Inquirer will produce a special editorial section one week prior on Sunday, November 12. The section will serve as a "show guide," with schedule of events, hot topics, partner advertisements, etc. Upon completing registration, a member of the Inquirer Advertising Team will be in touch to coordinate your advertisement in the special editorial section on 11/12. PMN's event team will be in touch with you prior to the conference with set up instructions and details come the first week of November. Yes! Time is TBD and will be communicated two weeks prior to the event. Items cannot be shipped in advance. Can you purchase a double booth? Yes, contact Jennifer Wolf for a 5% discount. Email jwolf@philly.com for unique code to use at checkout. Yes, electricity is available for an additional nominal fee. Please indicate at checkout that you require this and add the electric to your cart. Yes, complimentary WIFI is available. User name and code given at registration. How many materials/giveaways should we prepare? Anticipated attendance is 1,000 guests. You should prepare a minimum of 750 items. Only sample size food permitted. We encourage each exhibitor to get as creative as you can to interact with guests. Maybe it's a free consultation, chance to win a trip, blood pressure screening, tarot card reading, putt putt golf experience, mascot or costume character, etc. What signage can exhibitors bring? You are encouraged to bring a tabletop, cloth banner with your logo. Pull up banners are permitted. No hanging banners please. Is there food for exhibitors? Unlimited water will be provided. Concessions offered throughout event for purchase. PMN Events have a no-refund policy. Questions? Contact Jennifer Wolf at jwolf@philly.com or 215-854-5791 or Amy Buckman at abuckman@philly.com or 215-854-5790.